Keith Coleman (right), then-29, sits beside defense attorney Logan Perkins while listening to victim statements during his sentencing hearing at the Penobscot Judicial Center in Bangor in January 2017. 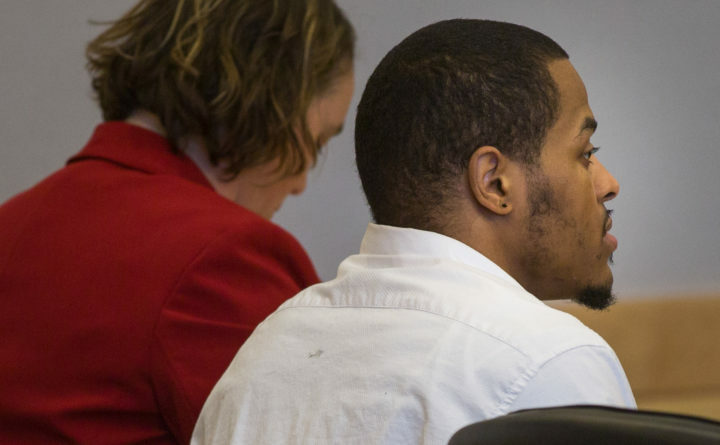 PORTLAND, Maine — Maine’s supreme court has rejected the appeal of a man convicted of killing his girlfriend and her two children in Garland. Keith Coleman appealed his convictions for murder and gross sexual assault and the imposition of three life sentences by a judge. He cited alleged prosecutorial misconduct, insufficient evidence, and a judge’s decision limiting cross-examination of a witness. The Maine Supreme Judicial Court affirmed the conviction and sentences on Thursday. Coleman was convicted in the deaths of 36-year-old Christina Sargent, 10-year-old Duwayne Coke and 8-year-old Destiny Sargent at their home in December 2014. Police said Coleman told them that he chased down and strangled the children because they’d witnessed their mother’s death.